Although most people will never go to Davos, they will have heard of it, either as the venue of the World Economic Forum Annual Meeting or, for the not-so-business-minded, as a lavish destination for jet-setters. In either case, many will conclude, without further investigation, that the place is not for them because they can’t afford it or they don’t expect to mix with the global elite, of either the political or the celebrity variety. But, with thousands of tourists visiting in every season each year, Davos – while undeniably a premium destination – is neither exclusive nor aloof. In fact, Davos is home to the largest skiable area in the Swiss Alps and is suitable for both skiers and snowboarders, whether they are beginners or experts. 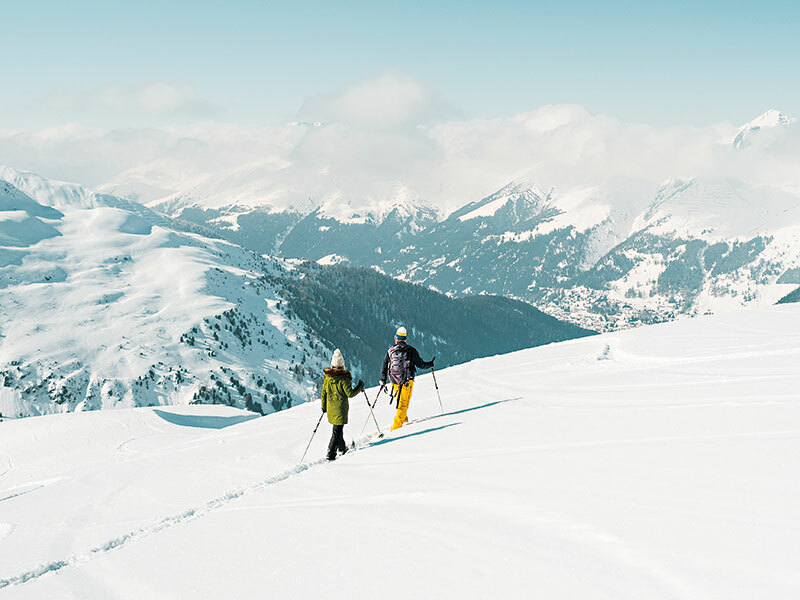 With more than 300km of well-groomed pistes and a further 200km of cross-country ski trails, the Davos Klosters region includes five separate skiing zones, each with its own personality. To those in the know, Davos has enjoyed a global reputation as a year-round health resort since the 19th century; it has long been a hub for leisure and cultural activities, with sporting events running throughout the winter and summer. While the World Economic Forum Annual Meeting grabs the biggest headlines, Davos is home to many other high-profile international conferences. From a leisure perspective, Davos will always rightly be associated with skiing. However, the town has become a year-round destination, offering more than just snow-covered slopes – in fact, the whole Alpine region now sees more visitors in summer than winter. The key to enticing tourists is to offer an increasing range of primarily outdoor activities, from yodelling and mountain biking to white water rafting and paragliding. With Davos being one of the most centrally located resorts in the Alpine range, the focus is naturally on the mountains. But with the picture-perfect Lake Davos nestled on the northern edge of town, water sports fans are also well catered for. Indeed, the small natural lake offers an array of activities, including river rafting, canyoning, wakeboarding, surfing and pedaloing. Golfers too have an impressive selection to choose from, as Davos itself has an 18-hole golf course, with five more just an hour’s drive away. Having successfully shifted from being seen as purely a winter destination, Davos’ focus has turned to making each visitor’s experience special. This includes offering the sort of accommodation that makes guests feel at home, allowing them to take advantage of the spectacular Alpine setting. Perhaps the best form of accommodation to appeal to this lifestyle is the serviced apartment, which Davos now offers in the form of Residences at the Hard Rock Hotel Davos. These one and two-bedroom apartments are of a very high specification, designed to provide the perfect blend of modern style, comfort and convenience. Crucially, each apartment is laid out to take full advantage of its tranquil Alpine backdrop. The idea is to provide owners with a luxurious home that requires minimal effort in terms of upkeep and has the potential to pay for itself. 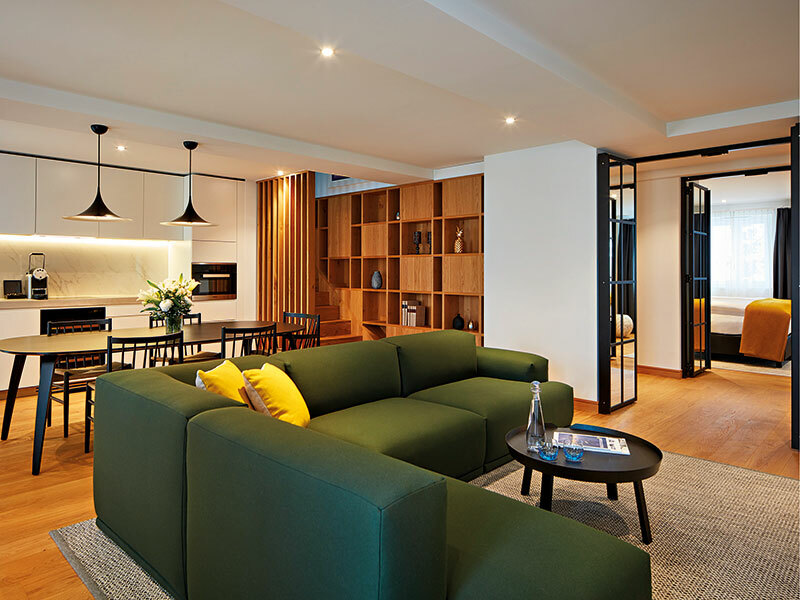 The apartments are attractive, fully furnished homes with Crittall-style mirrored walls, large bathrooms and contemporary kitchens designed by internationally renowned architecture firm Woods Bagot. All of the residences are for sale, with prices starting from €740,000. The residences also offer a rare opportunity to buy in Switzerland without the usual restrictions on foreign ownership. Owners can use their homes for up to eight weeks of the year and have the chance to let out their apartments through a dedicated on-site management service whenever they choose, thereby making the very best use of the space. This means their investment can work for them throughout the year – something that caters to both leisure and business guests, and is a benefit that few holiday homeowners are able to match. The residences are all exceptionally spacious, ranging from 60 to 131sq m, and are furnished to the highest standards, with modernity and functionality in mind. The apartments also provide the individuality and privacy that buyers expect, along with the level of service and convenience of a luxury hotel. The amenities in both the apartments and communal areas are designed to offer buyers and visitors alike the chance to live like a rock star. In practical terms, that means a full suite of amenities and facilities that are on par with any five-star hotel. This includes the only rooftop bar in Davos, which offers a priceless 360-degree view of the breathtaking mountains that surround the town. Under the roof of Residences at the Hard Rock Hotel Davos, the luxury continues with a pool, state-of-the-art gym and premium services to match. The complex also includes a private dining service and a restaurant called Sessions, both of which promise the style and fun of the Hard Rock brand with an extensive menu to appeal to all tastes. Adding to the activities available on site, an extensive refurbishment has now been completed. This includes the new Rock Spa, which offers the world’s first immersive, music-centric spa experience: here, amplified vibrations take guests on a rhythmic journey that will leave them feeling reinvigorated. With its contemporary and sleek design, the complex pays homage to Swiss quality but is also fashionable and trendy to reflect its Hard Rock heritage. Memorabilia is on display throughout, including a Bruce Springsteen guitar and one of Jimi Hendrix’s jackets. The result is a classy yet homely feel, with a touch of the music industry’s stylish flair. The Hard Rock Hotel’s residences are centrally located in Davos, which is just moments from the promenade that houses the town’s most popular shops, restaurants and bars. Also nearby is Davos’ rich cultural offering of art galleries, museums and theatres, together with an annual programme of events and music festivals to cater to all visitors’ interests. Crucially, Davos has a cable car station that provides direct access to the main ski area of Jakobshorn, which is also the region’s most popular take-off point for hang gliding and snowkiting. The Hard Rock Hotel offers ample secure ski storage facilities. This blend of opportunities makes it unsurprising that Davos is carving out a reputation as the mountain destination for those who want to enjoy luxury and adventure all year round.